December fun thanks to you, The National Lottery players! From 12 to 17 December 2017, we are opening our doors for free to National Lottery players. We are joining participating National Lottery funded visitor attractions across the UK in saying ‘thanks’ to people who have raised money for good causes by buying a lottery ticket. Gilbert White & The Oates Collections are in the middle of a £3million renovation project with support from the Heritage Lottery Fund. £1.8 million of Heritage Lottery funding has been agreed for the project to restore the 18th century stable-yard and re-design of the Frank Oates gallery. The idea is simple: any visitor to Gilbert White & The Oates Collection who presents a National Lottery ticket or scratchcard on 12 to 17 December gets free entry for a family of up to 6 in return. 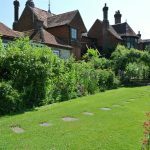 One National Lottery ticket provides free entry for up to one family of six to Gilbert White and the Oates Collections, including all weekend family events, only. The offer is valid each day on 12 to 17 December 2017. Gilbert White and the Oates Collections is open 10.30am to 5pm Tuesday to Sunday. 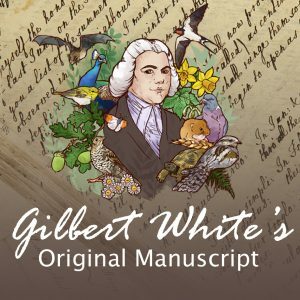 Gilbert White and the Oates Collections has the right to refuse entry in the unlikely event of venue reaching capacity, as well as unforeseen circumstances. Tickets will be given at the till in the shop/reception at Gilbert White and the Oates Collections when visitors arrive with their National Lottery tickets.